With a primary objective to promote the divisional level GO-NGO coordination and brings better program impact through SBCC approaches in the health and family planning program fields, 1st Divisional BCC Working Group meeting was held at Chattogram. This meeting was held on November, 22 a total of 20 participants from Government and NGO those are working in the Chattogram Division participated in the meeting. Divisional Directors both from the health and family planning departments participated in the meeting. Dr. Md. Abul Kashem, Divisional Director-Health was present as Chairperson in the workshop while Mr. Muhammad Nurul Alam, Divisional Director-Family Planning was present as special guest. 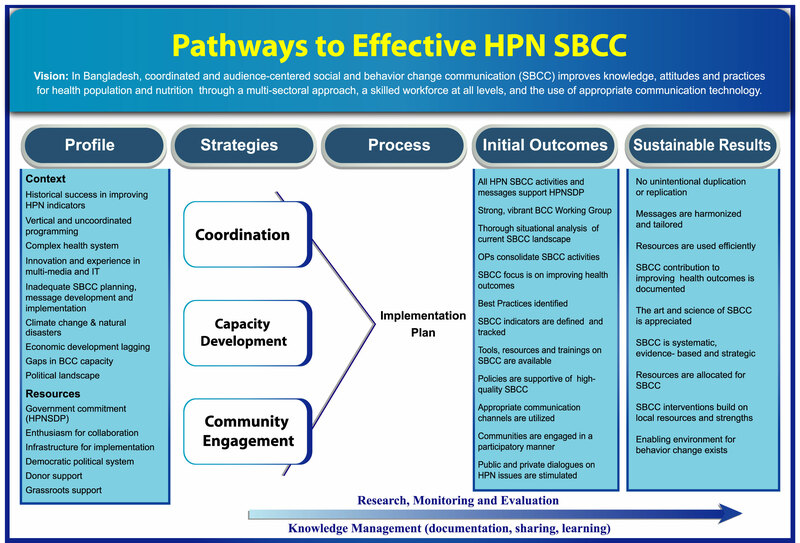 The secondary objective of the meeting was to share the existing HPN SBCC program/activities being implemented by the GoB and NGO in the Chattogram division and promote coordination for better synergy in implementing the 4th sector development program and attain better program impact. In addition to the DGHS and DGFP program officials the meeting had NGO representations from the CODEC, CARITAS Bangladesh, BRAC, GHASHFUL, Save the Children, MAMATA, UTSA, YPSA and USAID- Ujjiban were present in the meeting. USAID Ujjiban, YPSA, and MAMATA shared their ongoing SBCC activities followed by discussions to find out way of better coordination between Go and NGO activities. The meeting decided to continue Divisional BCC Working Group meeting quarterly on rotation basis at Divisional Director Health and Family Planning respectively. In closing remarks, the Chairperson Dr. Md. 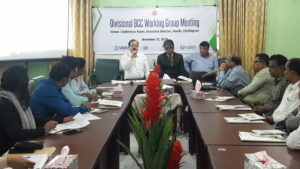 Abul Kashem, Divisional Director-Health expressed hopes that such BCC Working group meeting will profusely contribute in avoiding duplication of work by way of coordinated effort. Next BCC Working group meeting to be held on end of February, 2019 at the conference of Divisional Director-Family planning. Representatives from NGOs requested to provide them an orientation on SBCC to have clear conception. Dr. Md. Abul Kasehm , Divisional Director-Health, Chattogram emphasize the importance of BCC as well as the formation of this BCC Working group. Concern NGO must have to be present in the meeting with ppt. presentation accomplished during the last quarter with reason of the achievement. Onward during the invitation letter sent out from respective directors there to be mentioned for attending the meeting with ppt. presentation. Common presentation guideline to be circulated to concern GO and NGOs through mail in well ahead of time before the next meeting.